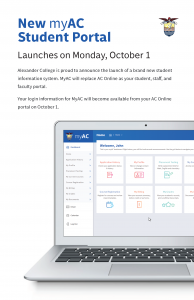 Alexander College is excited to announce the launch of our new information system, MyAC. MyAC launches on Monday, October 1. 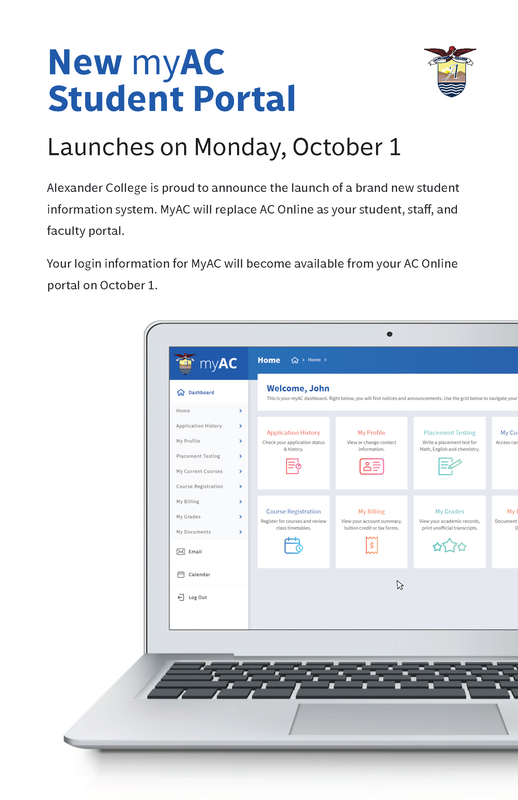 To receive your login information for MyAC, login to AC Online on or after October 1.